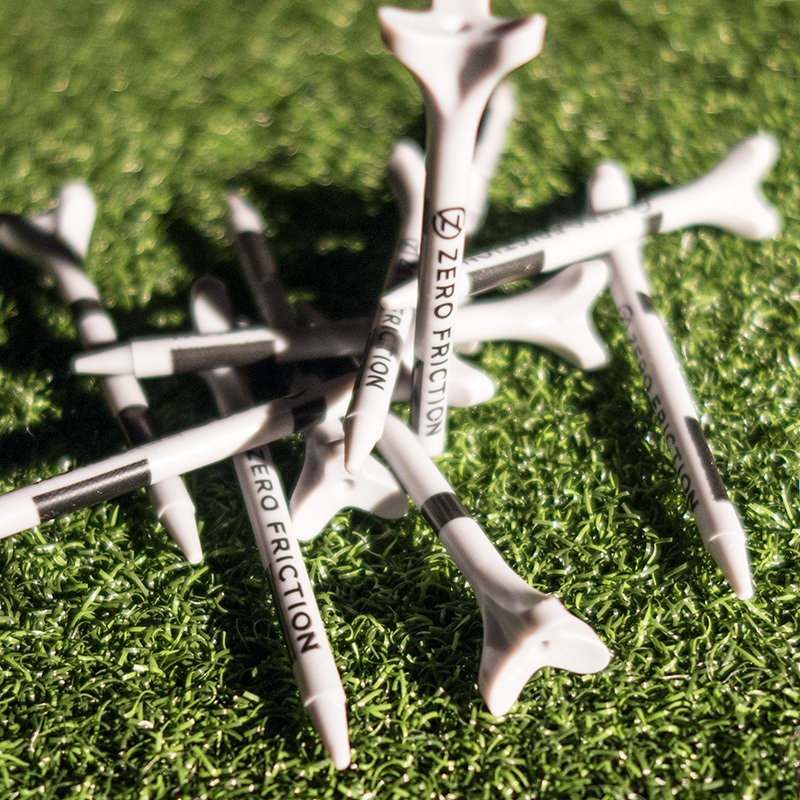 In for review are some Zero Friction ZFT Maxx golf tees. Unfortunately the ones that arrived are too short for me, since lately I’ve been teeing it very high. So I passed out a few to my golf buddies and we’ll see what they think. I hope to get some longer ones in to try. I can still use these for clubs other than driver so I will test them a wee bit. Stay tuned. 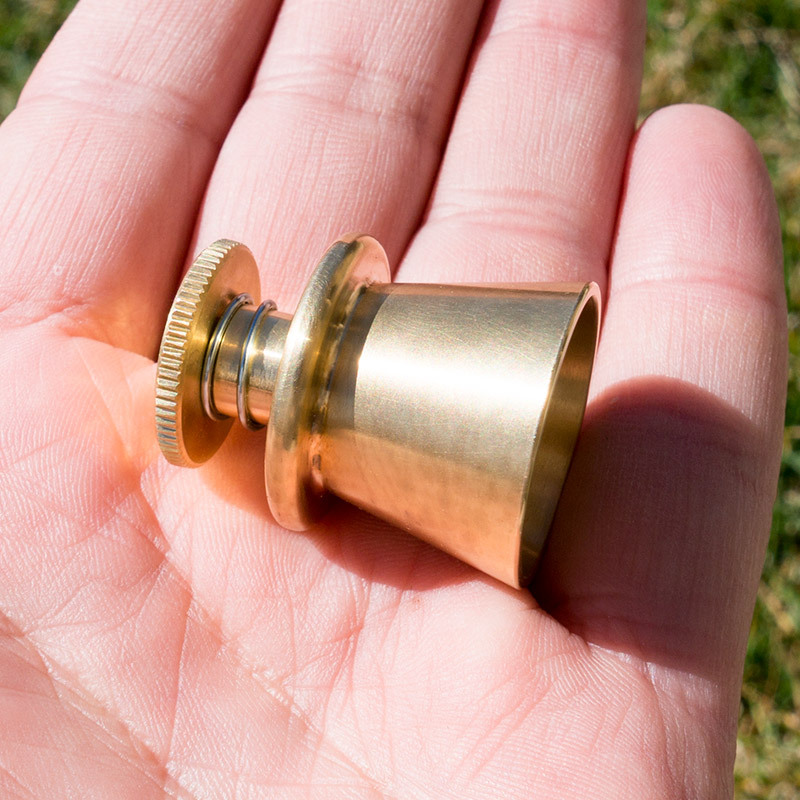 I received an interesting golf product to review a few weeks ago, the “Perfect Tee Mold.” This unit is a vintage replica of a sand tee mold, made out of 360 brass. A sand tee mold was used long ago to form a tee from wet sand which was beside each tee. The golfers would put the sand in the mold and pinch it onto the ground to form a natural tee. 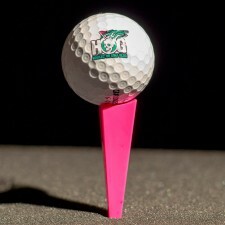 Anyway, I’ll try to test it out on a real golf course soon. I tried making a tee out of dirt from my yard but it’s too dry. It’s a Saturday evening, around 8:00. What are most regular people doing this time? Having a nice dinner. Perhaps catching a movie, some live music, or having a fun get together with family and friends. Not a dedicated golf blogger. Nope. 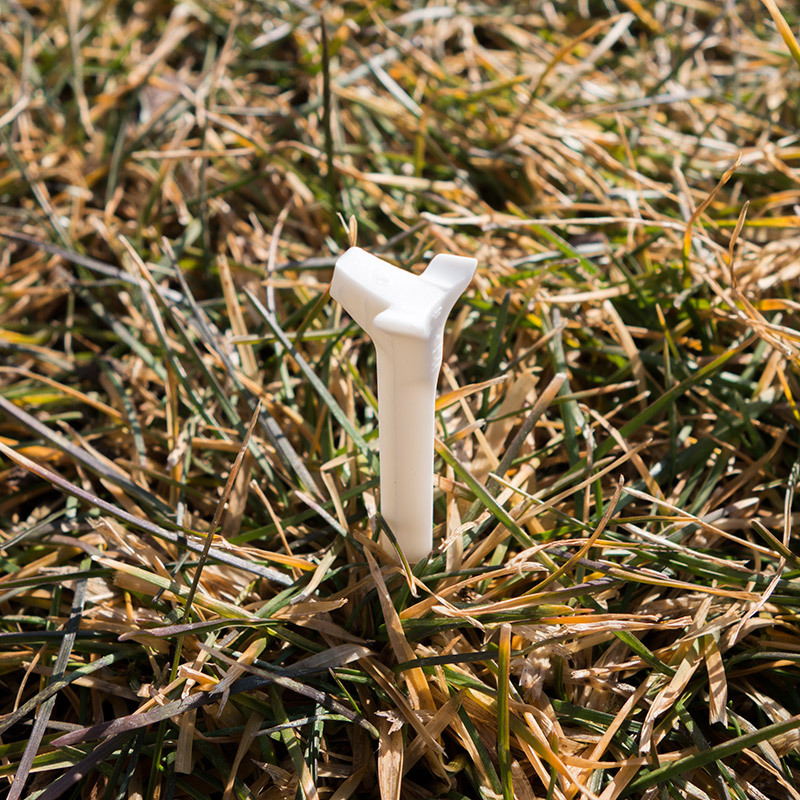 I’m reviewing an unconventional golf tee, the Flat Tee. How many times have you tried to “tee up” an iron on a practice range which is mat based? Doesn’t work, does it? You can’t get a tee in the mat. So you are stuck with the rubber tee they supply which is way too high, or you try to put wooden tees in there. It never works. Flat Tee was designed primarily with these driving range mats and situations in mind. 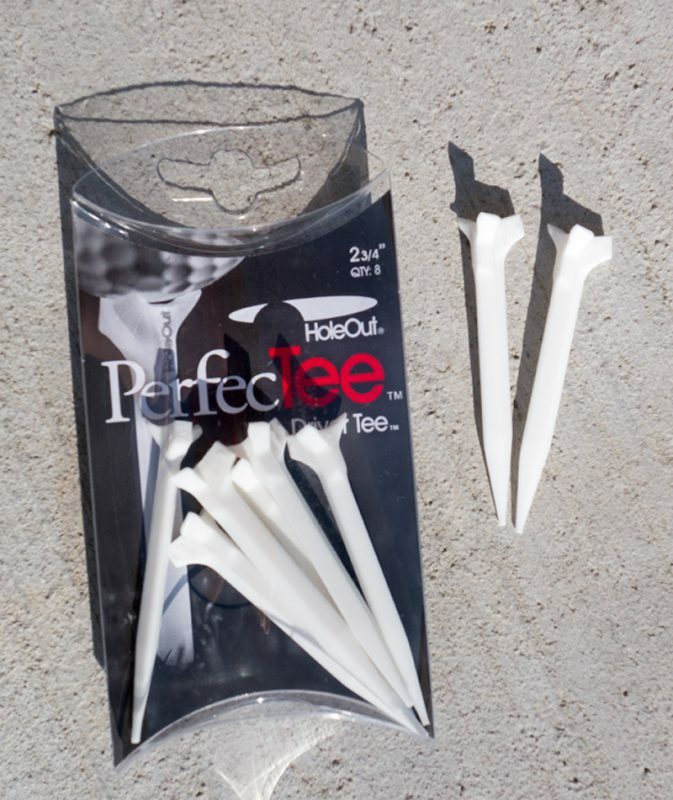 The golfer can tee up his/her choice of a 1/4″ or 3/16″ flat tee, and get a perfect ball height for practice. Suitable clubs could be anything up to a 3-wood. Driver? Na. First off, I can’t stand mats. It’s nearly impossible to hit a bad shot on mats because the cement underneath makes the club bounce right into the ball, rather than taking too big of a divot. For someone with a steep granny swing like mine, mats don’t expose or show bad shots. I hit good shots all the time on mats. On real grass those same shots may be too fat. Now I do have to use mats, I can use the Flat Tee for iron practice. The design of the tee, and its “treads” on the bottom help make it flip on impact and it usually stays in the general area of the strike for easy retrieval. But sometimes if you take deep swing, the whole tee can fly… away. This could be especially problematic at a range with multiple levels. The Flat Tee website has the caption on the front page, “The Future of Golf.” Uh, that’s a little exaggerated. But if you hit off of mats a lot and need a tiny bit of space between the cement and your ball, this is the answer. I don’t often review or feature golf equipment which is not legal by USGA or R&A rules for stipulated or tournament play. I’m making an exception this time for Trust Tee because the person who reached out to me has been politely persistent, and is Greek. Trust-Tee is a golf tee designed to increase yardage and reduce slices and hooks through its (illegal) cambered design. Notice in the photo that the top of the tee is slanted. Trust Tee claims to decrease slices and hooks by as much as 15 yards. 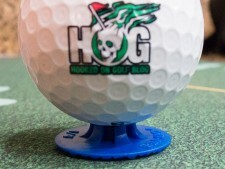 I neither hook nor slice it, so I wonder if I could use the tee to create a hook or slice?!?! That said, I do have some golf pals who slice badly. I will get this tee in their hands and see if it really works. 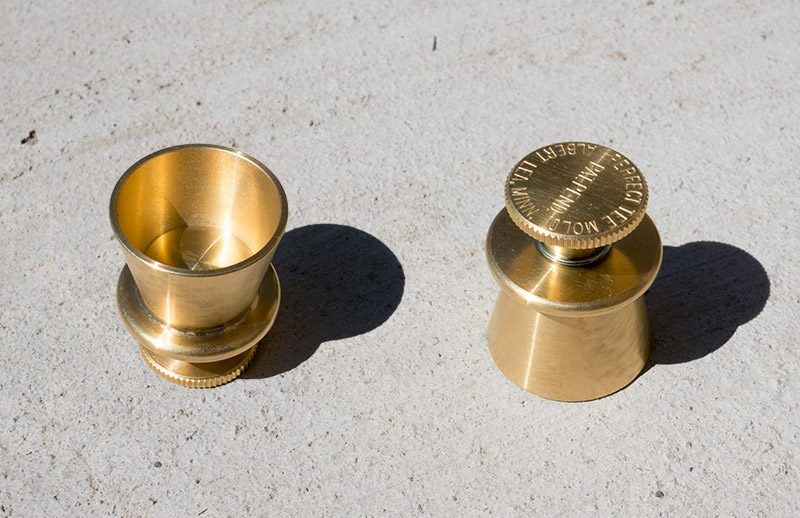 There’s your first look at this unique golf tee. Due to the 4-5 month frost delay caused by winter here in northern Utah, I may not be able to test and review this product until I go south to warmer weather, or until the weather here improves.